With a population of more than 10 million, Tianjin is the third largest city of China. It is also the largest coastal city in northern China and the major seaport to the nation’s capital. It is the primary industrial, commercial and economic centre of North China, rivaling with Shanghai in the south. Along with Beijing, Shanghai and Chongqing, Tianjin is an autonomous municipality and a part of the Bohai Bay Economic Rim, one of the three biggest economic regions in China. The Bohai Bay Economic Rim includes Beijing, Tianjin and areas in Hebei, Liaoning and Shandong, which surround the Bohai Sea. As an economic zone, it is easier to do business there than in any other part of China, as it is foreign-orientated and gives more support to Western businesses than to the areas which are not part of it. Tianjin is one of the fastest growing large cities in the world and has the highest GDP per capita income in mainland China. Although the international financial crisis spread rapidly and the speed of world economy growth is slowing down, Tianjin economy still maintains at a steady and fast growing speed. While Tianjin is mainly famous for its manufacturing and technological prowess, it might also become China’s largest financial centre thanks to the development of the new district of Binhai, located at the junction of Shandong and Liaodong peninsulas. The Binhai New Area occupies a core position in the Bohai Economic Rim and has abundant natural resources, a comprehensive traffic network composed of highways, railways and shipping routes, which connects the area to China’s various regions and the outside world. It is home to 219 Fortune 500 companies and to enterprises in the field of industries and services, as well as to several engineering and technical research centres and universities. The main free market zone in Binhai is the Tianjin Economic-Technological Development Area (or TEDA). After relentless efforts to become a better place for investment, it is now one of the most alluring investment areas in China and even in Asia. Densely populated and easily accessible, the Bohai Area offers enormous market potentials. Tianjin Economic-Technological Development Area (abbreviated as TEDA and transliterated as Taida) was established on December 6th, 1984 as one of China’s earliest development zones. During an inspection tour in August, 1986, Mr. Deng Xiaoping, the Chief Architect of the country’s Reform and Opening-up, wrote down such a prophetic blessing, “Development zones are full of promise.” More than three decades later, TEDA has grown into a national-level development zone with the biggest economic scale, the fastest globalization pace, and the best comprehensive investment environment in China. Sitting at the juncture of the Bohai Economic Rim and the Beijing-Tianjin-Hebei Province Megalopolis, TEDA is a key player in a series of national strategies such as the Road and Belt Initiative, Beijing-Tianjin-Hebei Province Collaborative Development, Tianjin’s Pilot Free Trade Zone, National Demonstration Zone for Indigenous Innovation, and the Development and Opening-up of Tianjin Binhai New Area. Backing on the vast hinterland market of North China, Northeast China and Northwest China while facing Japan and ROK across the sea, TEDA enjoys seamless connection to the entire Northeast Asia and the booming Asia-Pacific Economic Rim. It is a key interface and passage for China’s opening-up. Tianjin Port, the biggest international trading port in North China, and Tianjin Binhai International Airport, one of the country’s key air cargo hubs, are both within arm’s reach. TEDA now manages 23 office buildings with a combined floor area of 1.53 million m2. 6 of these buildings each contribute over 100 million yuan of tax revenues annually. Here Class-A office buildings and commercial facilities seamlessly integrate with nearby government agencies, schools, hospitals, malls, apartments, and other mature living infrastructures. Very soon the 530-meter CTF Financial Center will become operational. By all means, TEDA is the best location for work, shopping, dining, leisure and high-end business exchanges in the entire Tianjin Binhai New Area. TEDA boasts a world-class industry cluster of mobile telecommunications, IC chips, electronic components, and digital audio & video products. 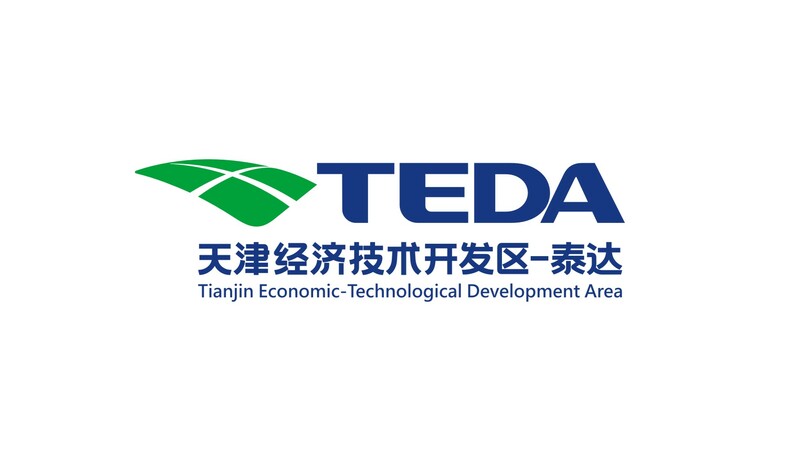 As a national auto & auto parts export base and one of China’s earliest neo-industrialization demonstration zones, TEDA boasts the highest auto electronics output value in the country. As the country’s neo-industrialization demonstration zone for petrochemical industry, TEDA is committed to fostering the Nangang Industrial Zone into a national petrochemical base and a pivotal port for petrochemical products. TEDA is the country’s biggest wind system production base and a key supplier of industrial gear motors, elevators and escalators, as well as numerical control machine tools. TEDA is China’s biggest base for the production of insulin and enzymes, a key carrier for new drug R&D and commercialization, and a considerable supplier of medical devices. TEDA is China’s biggest aerospace base for the R&D, production, commercialization, and military-civilian integration of next-gen carrier rockets. TEDA is a key production base for new energy industries such as lithium and solar batteries. TEDA is China’s key supplier of instant food and beverages. Investment in hi-tech innovation totaled 13 billion yuan. Floor area of incubators adds up to 1.1 million m2. Number of national-level hi-tech companies exceeded 300. Number of Fintech companies exceeded 500. 30 hi-tech companies got listed on various capital markets. TEDA were granted with over 11,000 patents. TEDA is so far home to 15,000 senior talents. Among them, 1,255 people are top talents of various fields. 97 talents were included into the national and Tianjin’s own“1000-Talents Plan”. Good relations with local government and CCPIT Chengdu and Sichuan dating back from the Prince Philip’s Economic Mission of 2007 when BCECC signed a long-term cooperation agreement in the presence of HRH Princess Mathilde. Chengdu is one of the most competitive cities inland: labour cost, infrastructure and regulatory framework. Its total imports& exports rank first among those of central and western cities in China. 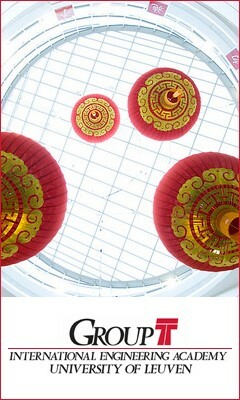 The number of Fortune 500 companies settles in Chengdu ranks first among those in central and western cities in China. It has the largest railway container terminal in Asia. Its financial transactions and number of foreign financial institutions rank first among the cities in Western China. It has the largest pool of professionals in various fields in Western China. It ranks first in terms of number of foreign consulates among the cities in Central and Western China. Chengdu has become the preferred place for domestic and foreign investors to invest in Western China, not only because it has outstanding advantages in investment environment, but more importantly it has broad prospects for future development and tremendous business opportunities. In 2011, the import and export volume of Sichuan Province to Belgium reached 223million dollars, a year-on-year growth of 37.16%; wherein, the export volume was 198million dollars, an increase of 50.14% and the import volume was 24.55million dollars, a decrease of 19.25%. Foreign (Belgian) Investment As of December, 2011, there are 12 Belgian-invested projects in Sichuan, involving USD 2.5million of paid-in capital. Among the world top 500, ABInbev, the leading brewery enterprise has set up a branch in Ziyang, planning to produce over 1 million tons of beer with an expectation of the biggest brewing base in China. Chengdu is an important base of bio-pharmaceutical industry in China, and it is among the first national medicine export bases, a national biological industry base, and a national export and innovation base for trade promotion through the development of science and technology (in bio-pharmaceutical field). It was approved to be a “Hi-tech industrialization base of national bio-pharmaceutical materials and medical apparatuses and instruments” in 2011. Chengdu is home to the most competitive IT industry cluster in western China. An industrial chain to manufacture integrated circuit, optoelectronics display, digital video & audio, optical communication products, and original-equipment products of electronic terminal has been formed in Chengdu, with representative enterprises such as IBM, Intel, Texas Instrument, Microsoft, Motorola, Nokia, Ericsson, Dell, Lenovo, Foxconn, Compal, Wistron, and others. Chengdu is favored by comparative advantages in preferential location, complete logistic infrastructures, strong scientific and technological strength, a large pool of professional talent, advanced communication technologies, and abundant information resources to build a logistics hub in Western China. Through years of rapid development, solid foundation has been laid for the automobile industry of Chengdu, forming distinct features and edge, and becoming one of the leading industries of the city. There are 139 automobile enterprises above the designated size, including 17 whole vehicles and refitted car manufacturers and 122 spare parts enterprises, with more than 50,000 employees. Lying between the Yangtze River and Huaihe River, the capital city of Anhui Province, Hefei, is an ancient city with a history of more than 2000 years. Covering an area of 7,266 square kilometers (about 2,805 square miles), it is the heart of Anhui’s culture. Hefei is one of the top 20 emerging cities in China. Its gross domestic product (GDP) per capita exceeded $10,000 in 2014, so that the capital of East China’s Anhui province entered an era of “moderately developed”. As one of the major cities in China opening up to the outside world, Hefei offers a sound investment environment for investors. Moreover, Hefei is playing a key role as the city is linking the east to the west and the south to the north. Being an important base for science and education in China, Hefei is the first and sole Science and Technology Innovation Pilot City in China. Also, by making good use of the abundant resources of land and natural minerals and advantages in science and education, Hefei is now in a prime period with the highest speed in development and the best quality in economic operation. What is more, Hefei is a comprehensive manufacturing-based industrial city, and the manufacturers located there are capable of producing everything from electrical appliances and daily-use chemical products, to specialized automobiles such as forklift trucks.